PUTRAJAYA, 19 November 2018 – The Malaysian Business Ethics Module or ‘Modul Etika Perniagaan Malaysia’ produced by the researchers from the Integrity and Good Governance Research Group (IGG), School of Human Resource Development and Psychology (SHARPS), Faculty of Social Sciences and Humanities of Universiti Teknologi Malaysia (UTM) was officially launched in Putrajaya. The module which was produced through a strategic collaboration between the Ministry of Domestic Trade and Consumer Affairs (KPDNHEP), Universiti Teknologi Malaysia (UTM), Malaysian Institute of Integrity (INTEGRITI) and Universiti Teknologi Petronas (UTP) was launched by the Minister of the Ministry of Domestic Trade and Consumer Affairs (KPDNHEP), Datuk Seri Saifuddin Nasution Ismail at Palm Garden Hotel Putrajaya. Project leader, Assoc. Prof. Dr. Siti Aisyah Panatik said that four researchers from IGG have developed the Malaysian Business Ethics Module. “The researchers involved in this project include Assoc Prof. Dr Rozeyta Omar, Assoc. Prof. Dr Maisarah Mohamed Saat and Dr Ebi Shahrin Suleiman. “The module, which took two years to complete, was developed to ensure that ethics remain as an integral part of a business venture. It also has the potential to serve as guidelines to ensure that ethics are observed when conducting business endeavours” said Dr. Siti Aisyah. Through this module, a total of 46 professional practitioner groups (PPG) were trained to ensure that integrity is practiced by the business and consumers community in Malaysia,” said Dr. Siti Aisyah. 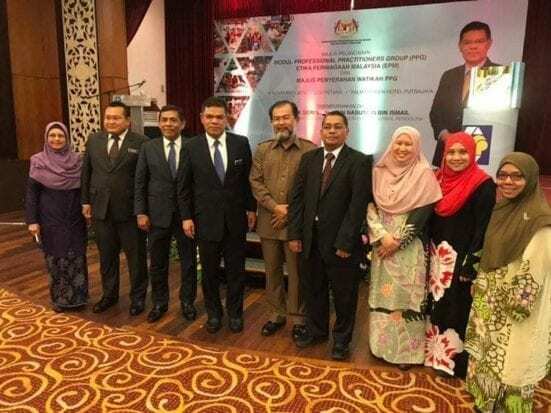 The minister later attended the conferment ceremony where 46 PPGs were awarded with the Malaysian Business Ethics Professional Practitioners appointment certificate at the same venue. 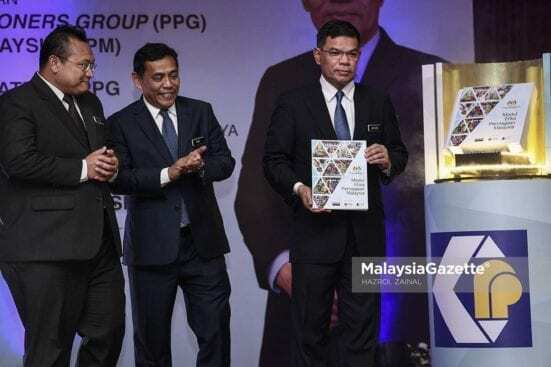 The minister of Domestic Trade and Consumer Affairs, Datuk Seri Saifuddin Nasution (most right) holding the Module of Malaysian Business Module right after the launching ceremony at Putrajaya.